CHARLESTOWN, Ind. 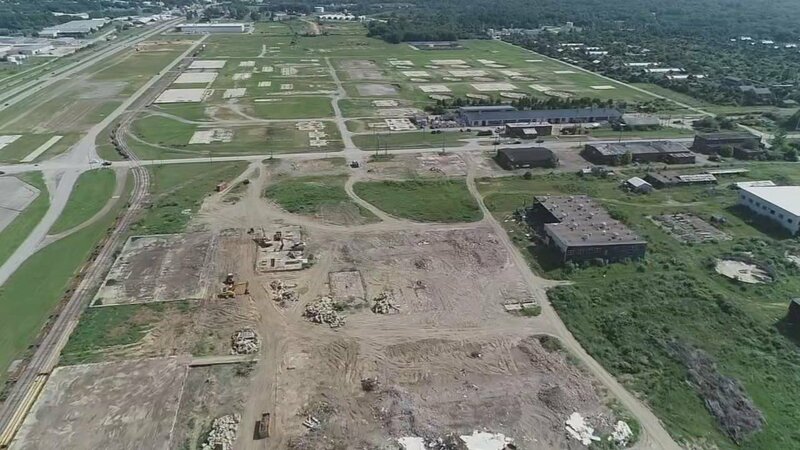 (WDRB) -- River Ridge is at the site of the former Indiana Army Ammunition plant, where nearly 30,000 people worked at one time. River Ridge Development Authority Executive Director, Jerry Acy said the plant started in World War II and produced explosive material up through the Vietnam War before shutting down in the 1970s. All of those jobs went away when the plant shut down. The goal now, however, of River Ridge is to recreate that ‘explosion’ of industry. Nine-thousand people work at companies along River Ridge, and that number will soon grow. An estimated two-thirds of River Ridge, which is 6,000 acres in all, is in Jeffersonville, Indiana. That part of the south end is already being developed, and it’s creating economic growth around that part of Clark County. And the River Ridge Board of directors dedicated $4 million Monday night to start developing the north end of River Ridge in Charlestown. “It’s a big start,” Acy said. Julia Gregory, with Starlight Coffee Company, said River Ridge will give her Charlestown Café a jolt to keep expanding. The beginning of this project at River Ridge will knock down the existing ammunition plant buildings. It will also put needed infrastructure in place, like roads and storm sewer systems. Acy said it will set up the Charlestown side of River Ridge for the same kind of success as the Jeffersonville side. “This year, we are expected to produce approximately $30 million in state sales tax and state income tax,” he said. There are no business contracts in place yet for the new section of River Ridge, but Acy said it will target industries like technology, automotive and food processing plants.